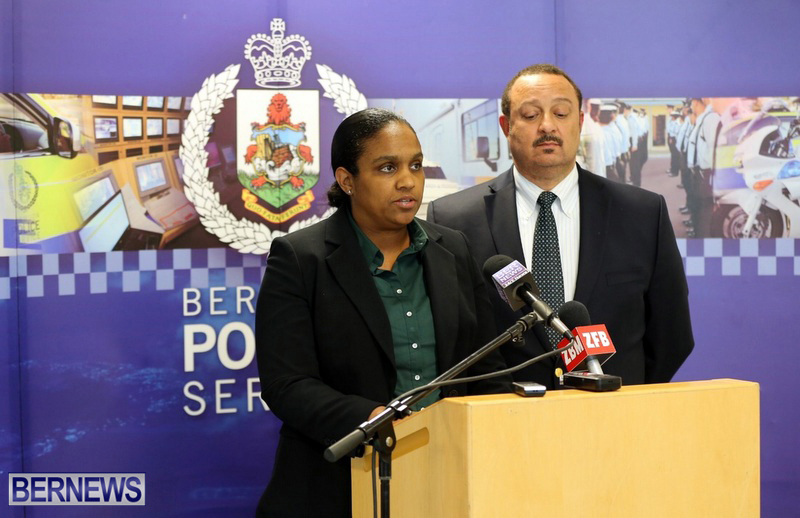 Detective Chief Inspector Na’imah Astwood said, “Over the past weekend the Bermuda Police Service responded to two separate and unconnected reports of stabbings. The first incident occurred around 3:00am on Sunday, March 5th, 2017. “Police initially responded to a report of a disturbance on Front Street in the City of Hamilton, in the vicinity of Bermuda Bistro at the Beach. Upon arrival, police noted that two males, one being a 37 year old Warwick man and the other being a 31 year old Devonshire man, were stabbed as a result of being involved in an altercation. “As a result both parties were taken to the hospital with non-life threating injuries. After initial investigations, it is believed that this incident is gang related. “An investigation is underway and any witnesses to the Front Street disturbance should contact the Criminal Investigation Department on 247-1744 or contact Acting Detective Chief Inspector Dave Greenidge at 717-0747. “The second unrelated stabbing occurred later the same date around 11:00pm on Sunday, March 5th. Police and first responders were dispatched to a reported disturbance along Crow Lane in Pembroke, in the vicinity of Blue Waters Anglers Club. Detective Inspector Mark Clarke said, “Approximately 11:10pm, Sunday 5th March 2017, police received several 911 calls reporting a man had been stabbed in the area of the Blue Waters Anglers Club. “Police officers and EMTs arrived shortly thereafter and rendered first aid to Mr. Butterfield. He was later transported to the King Edward VII Memorial Hospital by ambulance. Despite best efforts by emergency room staff he succumbed to his injuries. “The Bermuda Police Service can confirm the death of Mr. Raymond Butterfield as the man who was stabbed last evening outside of the Blue Waters Anglers Club, East Broadway, City of Hamilton. “The death of Raymond is being treated as a murder investigation. On behalf of the Bermuda Police Service we extend our condolences to his family and friends. “Raymond is 28 years of age and his murder is the second for the year. At this time this is not believed to be gang related. “The investigation into the circumstances surrounding the murder of Raymond is being led by myself and a team of detectives from the Serious Crime Unit. “The focus of this press conference is to ask for all persons who were present at the Blue Waters Anglers Club during the evening of Sunday 5th March 2017 to contact the investigative team. “We are aware that there were approximately 20 – 30 people at the Blue Waters Anglers Club during this altercation. In particular, we are interested in speaking with all persons that would have been outside when this vile stabbing occurred. “We are also interested in speaking with persons that came into contact with Raymond throughout the evening of Sunday 5th March 2017. “Bermuda has lost another young father at the hands of senseless violence. Raymond leaves an 8 week old daughter. “Another mother, father, girlfriend will now have to arrange the burial of their loved one. To the extended family of Mr. Butterfield, to his friends, to his love ones we again extend our condolences.